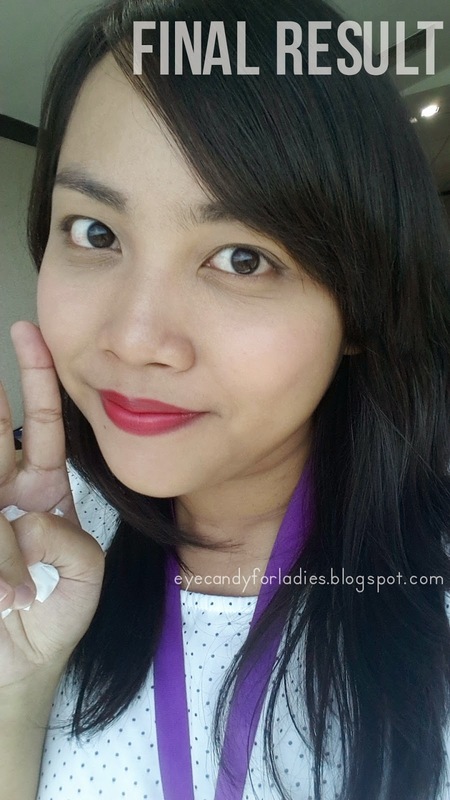 Let's get along first with SKIN FOOD; basically it's like another Korean make-up line despite it's main concern is to give nutrition to your face or shortly categorized them self as "Food Cosmetics", so if you're into healthy and concerned skin care & make-up line then SKIN FOOD can be your option. For further information please check here or Korean website here. 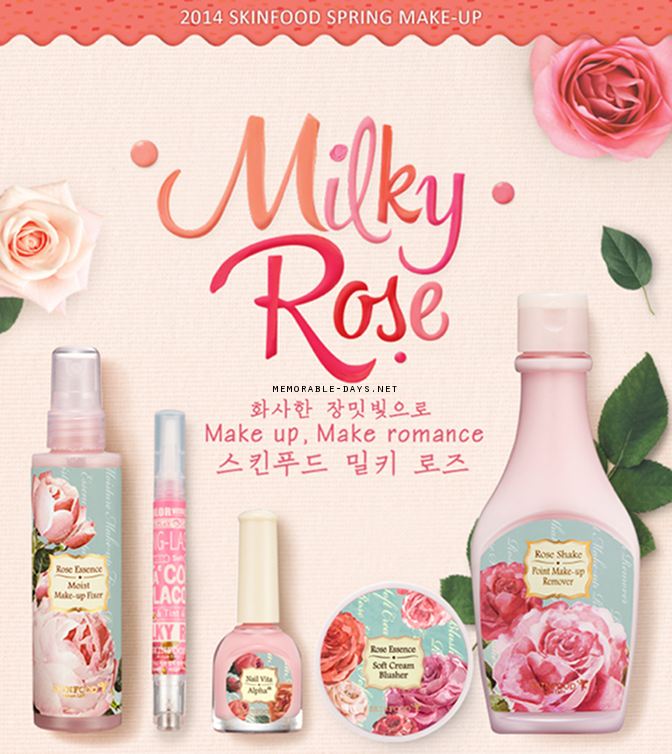 There you go, the SKIN FOOD Milky Rose Make-up line for Spring 2014 consists of Moist Make-up Fixer, Lip Lacquer, Nail Lacquer, Nail Sticker, Soft Cream Blusher and Point Make-up Remover. The Spring 2014 trend is inspired by Shrubs of Roses or Peonies (I guess). Derived from Rose Essence in which enhanced your beauty with Rose's benefit and successfully portrays the flowery theme of Spring. 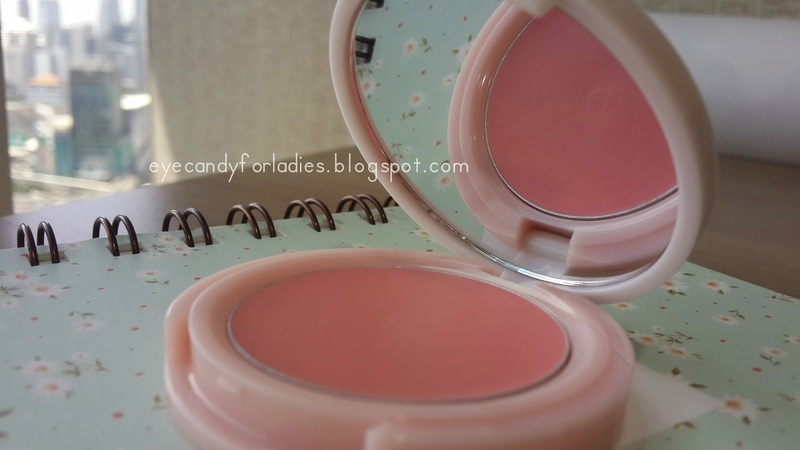 Thus Milky Rose with typical soft-milky pastel color represents the femininity and breeze of Spring mostly with its pinky array. 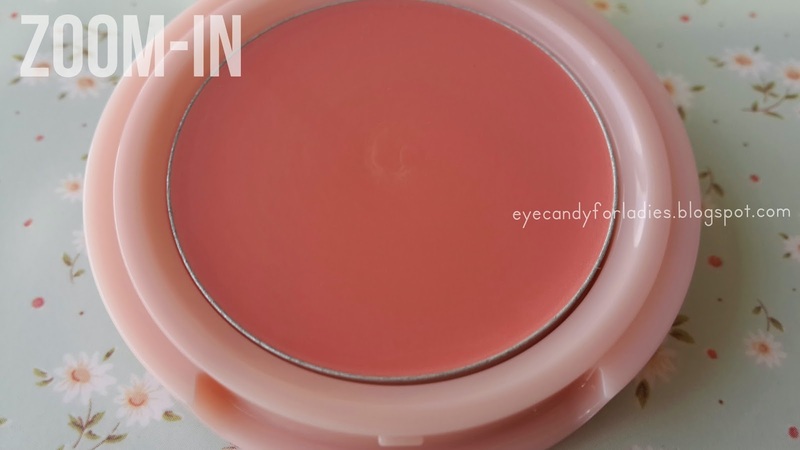 However, the Soft Cream Blusher is the one that caught my attention. 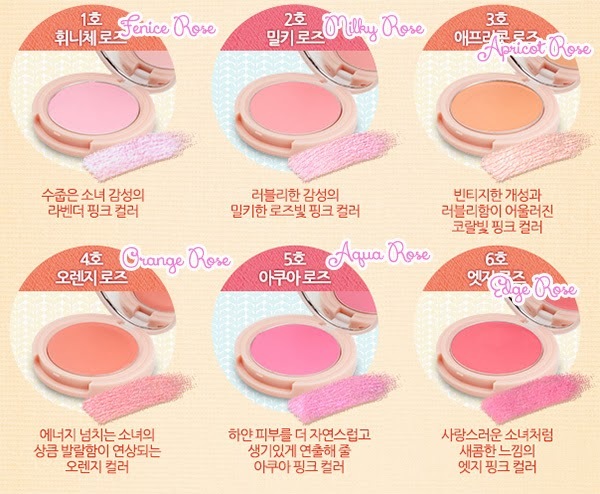 There are total 6 colors for the Soft Cream Blusher, I did request for No.2 (Milky Rose) which seems to be the most popular color of all, but...the OL Shop was out of stock T_T huaaaa. 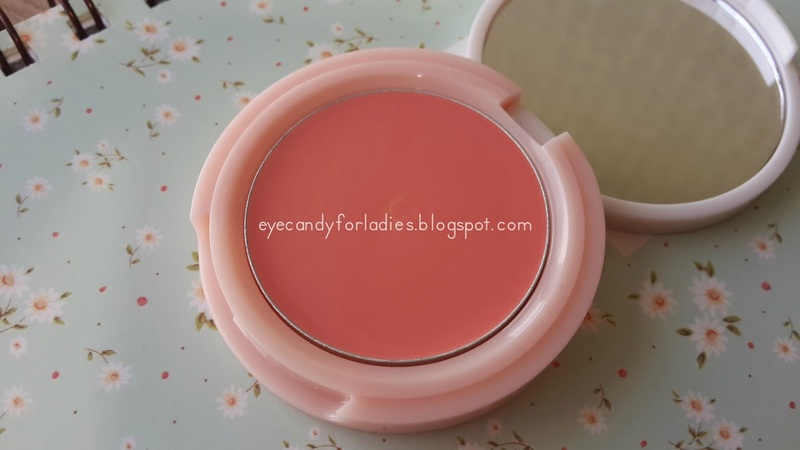 Finally I decided to take the No.4 (Orange Rose) which ends up being my favorite Cream Blusher ever! 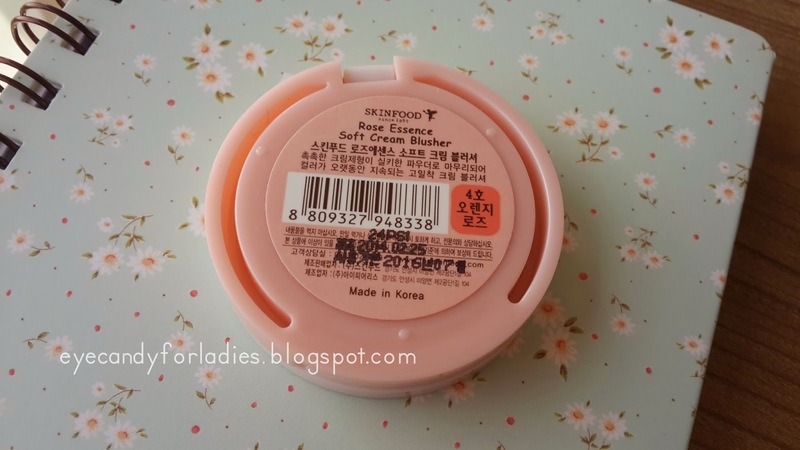 I don't know whether the Milky Rose already promoted in Indonesia counter or not since I bought it from OL Shop Beautyglowing FB Fanpage or check Instagram for more update. 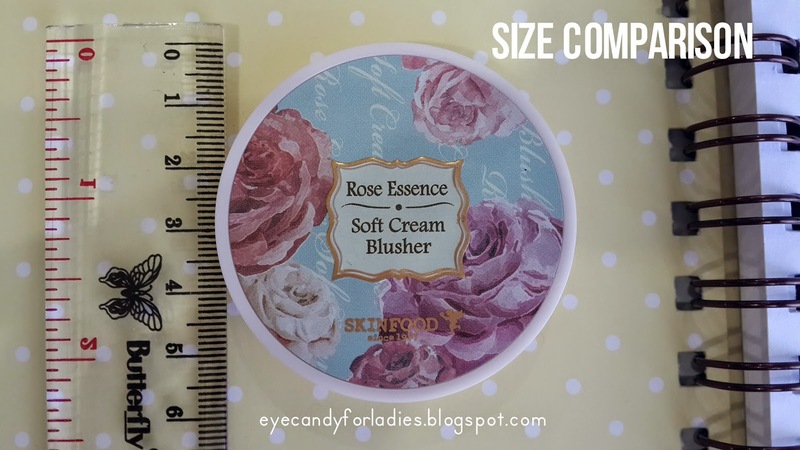 It was cost for IDR 100k for the Cream Blusher with Net 3.5gr content, but the bad thing is the OL Shop doesn't provide all of it's product's line. So, how about the product formula? Let's move on to the verdict. 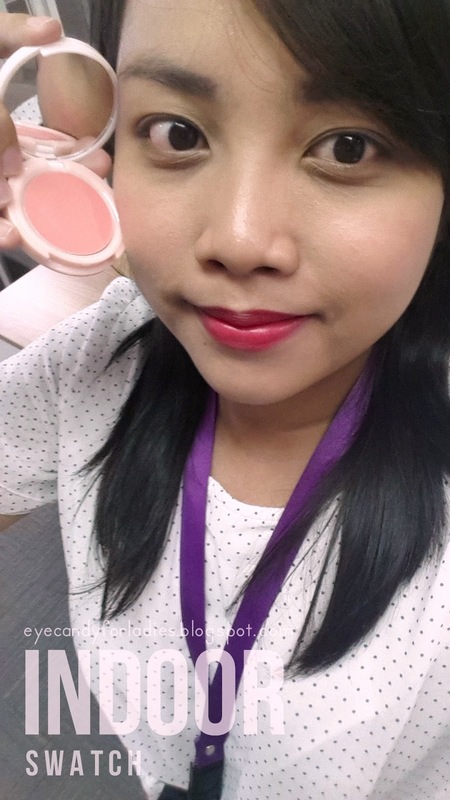 Made simply from sturdy pink lacquer tube with Flowery Rose in the Outer lid with brief explanation of the Cream Blusher on the back lid in Korean, okay doesn't give so much information at all. There's a room for mirror inside the cap, guess it helps a lot in case you don't find any mirror around. Quite handy for traveling and light-weight. 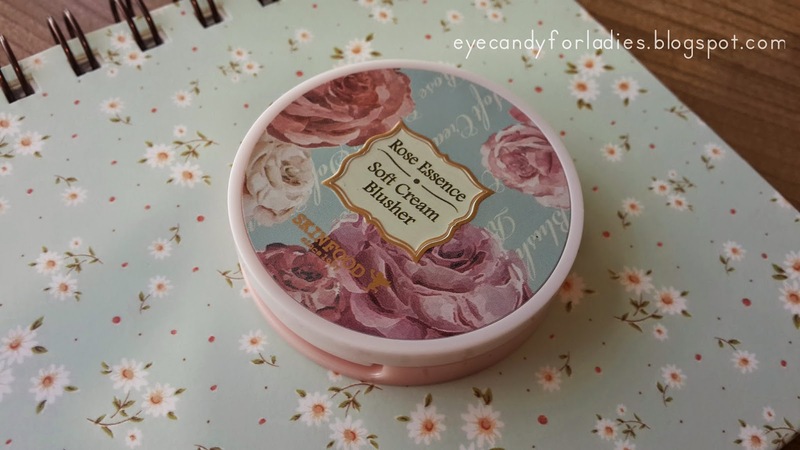 Even though some people might find it too girly or childish packaging. 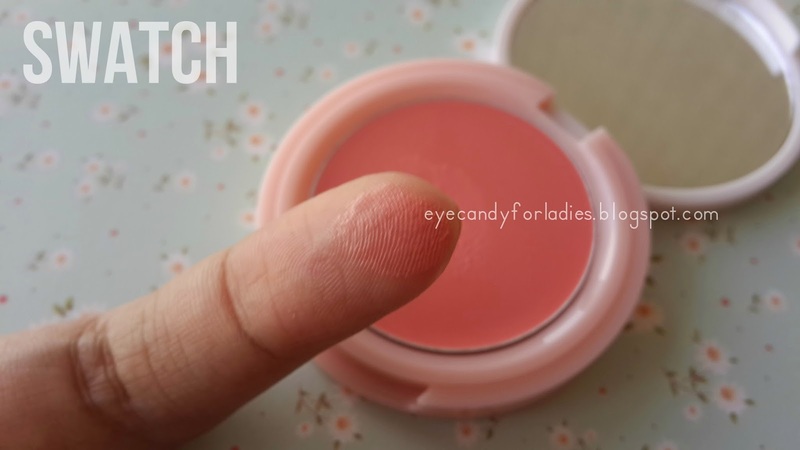 The Cream Blusher seems to be so creamy when first swipe it out straightly from the tube, but when you rub or apply it in equal amount in your cheek, voila, it turns matte and powdery. 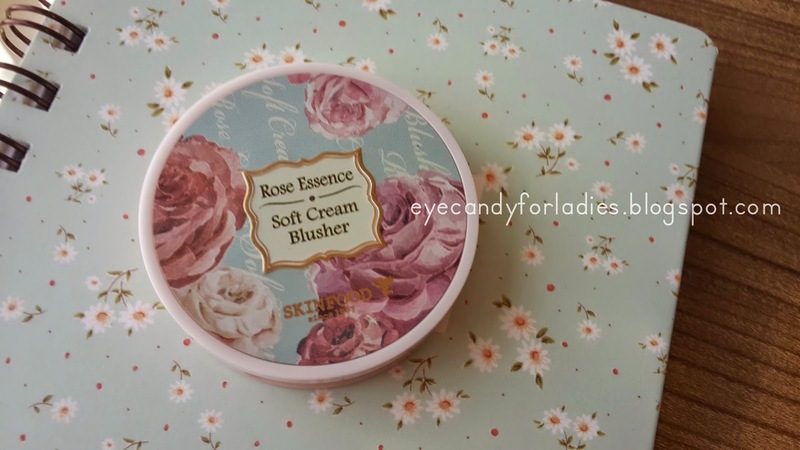 SKIN FOOD Soft Cream Blusher No. 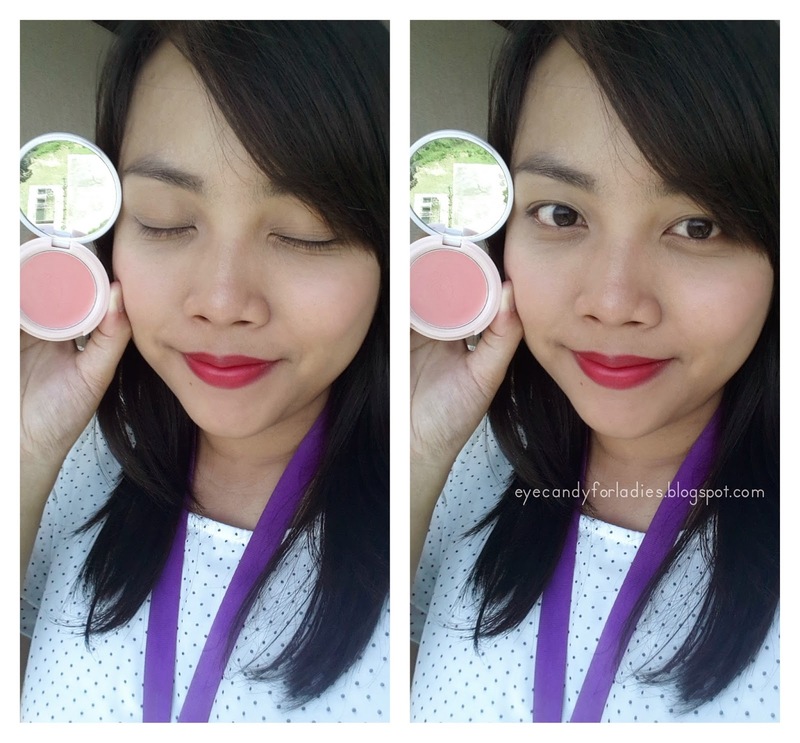 4 is Coral-Pink blusher with more Pinkish tone. 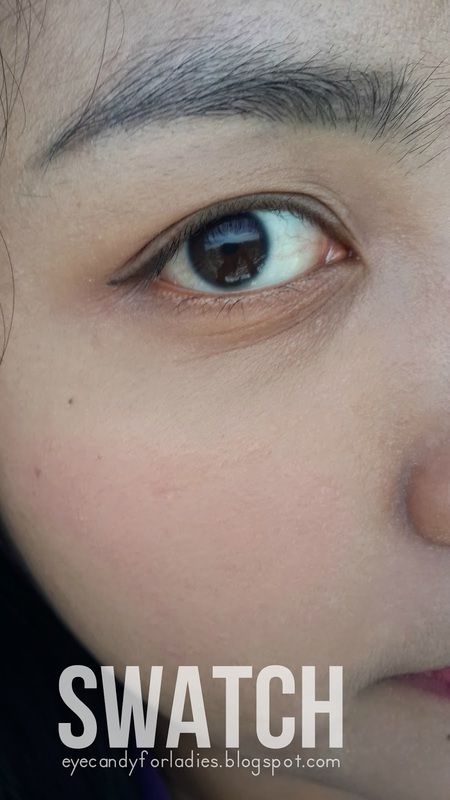 When first saw it in official picture, it came to mind "Eww, not my color tone at all" but when tried to apply it directly on my cheek I absolutely fell in love with the finishing. 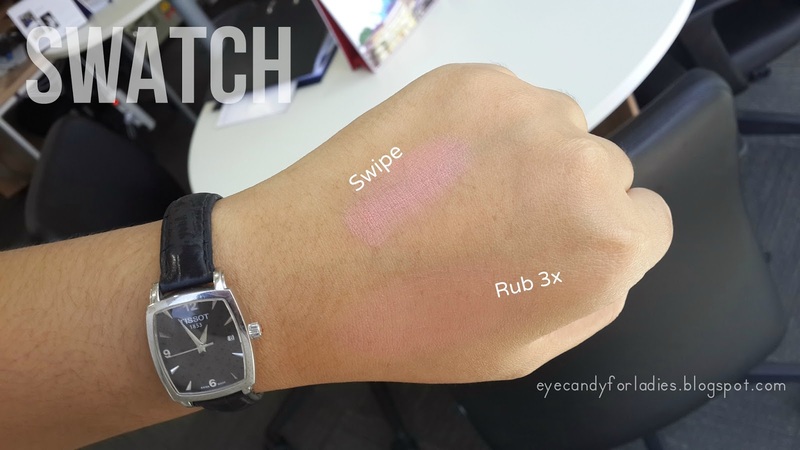 The color seems so vivid in the tube but ends up a little bit chalky and less vivid after rub it generously in the cheek. The staying formula lasts for a day and (I guess) it's waterproof. BUT, my favorite formula after all is it's ROSE SCENT! The fragrance sticks in your cheek after applied, so it won't evaporate easily. 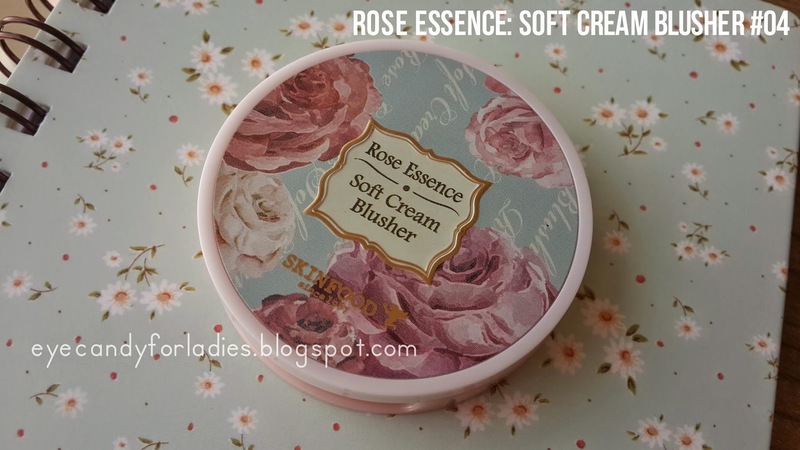 The Rose scent might be too strong for some people and hypo-allergic person, however for girly-stuff sucker (like me) I find it amusing and pleasant.